Well here I am with yet another Banner Blessings card. I absolutely LOVE this stamp set! I used a brand new to me technique today. I know the Bokeh technique has been around but today was the first time I had tried it and I really had fun creating with it. I started with a base of whisper white cardstock and sponged in tempting turquoise, soft sky, and so saffron in various areas. I made a template out of a window sheet that I had cut out the 3 smallest sizes of circle framelits. I sponged whisper white craft ink into the circles in various sections, going with a lighter touch on the larger circles and heavier on the smaller ones. I then used a sponge dauber with an even heavier coat of the white craft ink in a few areas. 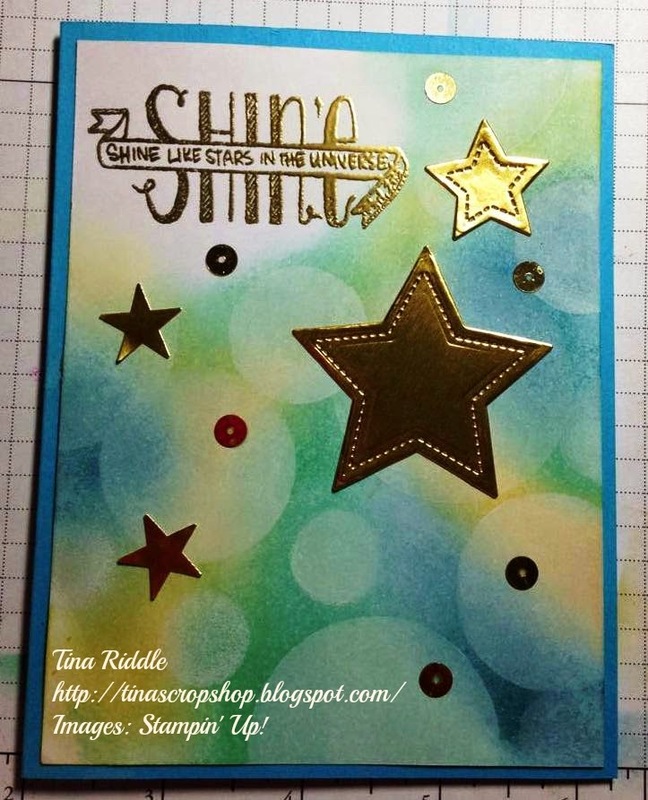 After allowing the craft ink to dry, I heat embossed the Shine sentiment using Gold Stampin' Emboss Powder. I added some punched as well as die cut stars from the brushed gold cardstock. I also added a few gold flat sequins cut from the gold sequin trim. Easy Peasey and lots of fun! If you haven't already tried this technique, I hope you'll try it.! It really is a lot of fun to make! 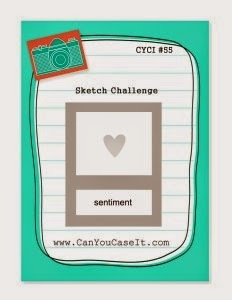 One of my very favorite of the newer Stampin' Up! Stamp Sets is Banner Blessings. I am thrilled for my sweet friend Holly Stene because she designed that set. Any time you can add some of the God's Word to a card, it is a good thing in my thinking and this set is all about that! The background panel was a watercolor technique that was achieved by putting 3 colors of Stampin' Ink on an acrylic block and then spritzing with water and pushing or smooshing the block down onto watercolor paper. I also spritzed a little water directly onto the paper after the ink was smooshed onto it. I then ground up a little sea salt over the background and allowed the dry. The salt absorbs some of the water and makes a speckled effect on the background. One the background is dry, just brush off the salt. It is a super fun technique. I hope you'll try it! 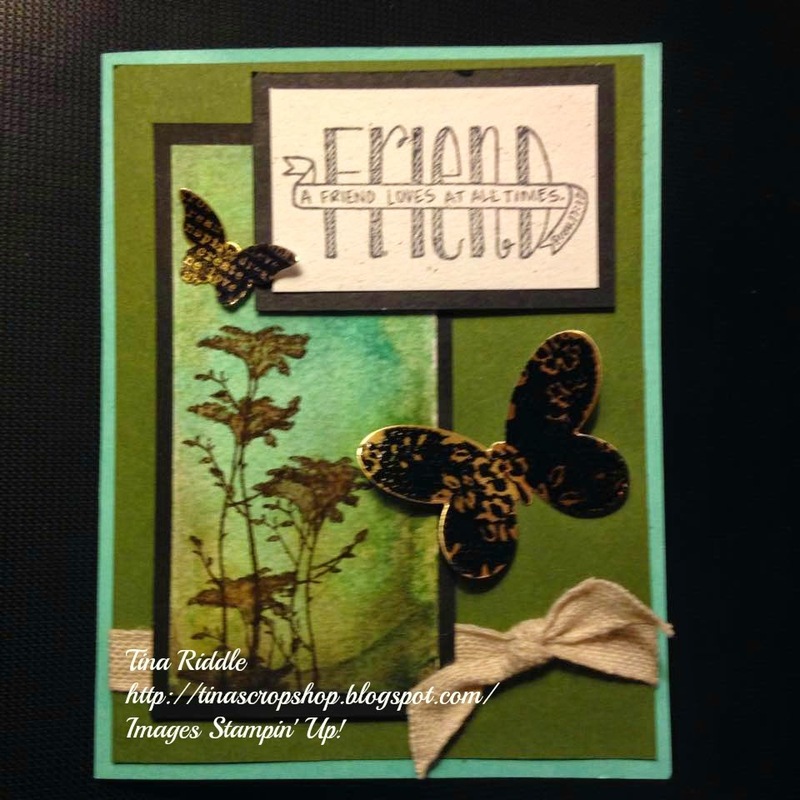 I've also used the Butterfly Basics stamp set, as well as a Vintage Stampin' Up! Set called Of the Earth. The card base was Coastal Cabama with a layer of Mossy Meadow. The watercolor background was created using water color paper. Ink colors used in the smooshing were Mossy Meadow, Tempting Turquoise, and Hello Honey. The flower image was stamped with Stazon Black onto the watercolor paper after the background technique was achieved. The butterflies were stamped with Stazon onto Gold Cardstock The greeting was stamped onto Naturals White Cardstock with Memento Tuxedo Black Ink. Both the greeting and the watercolored panel were mounted on a layer of Basic Black Cardstock for contrast. Hope you love the way this card turned out as well as I did. CanYouCaseIt on Super Bowl Sunday? Well I'll sure try! 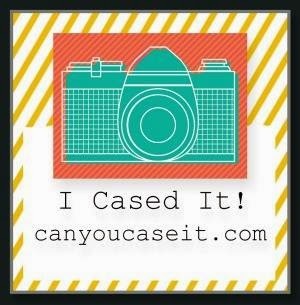 One of my new favorite Stampin' Up! 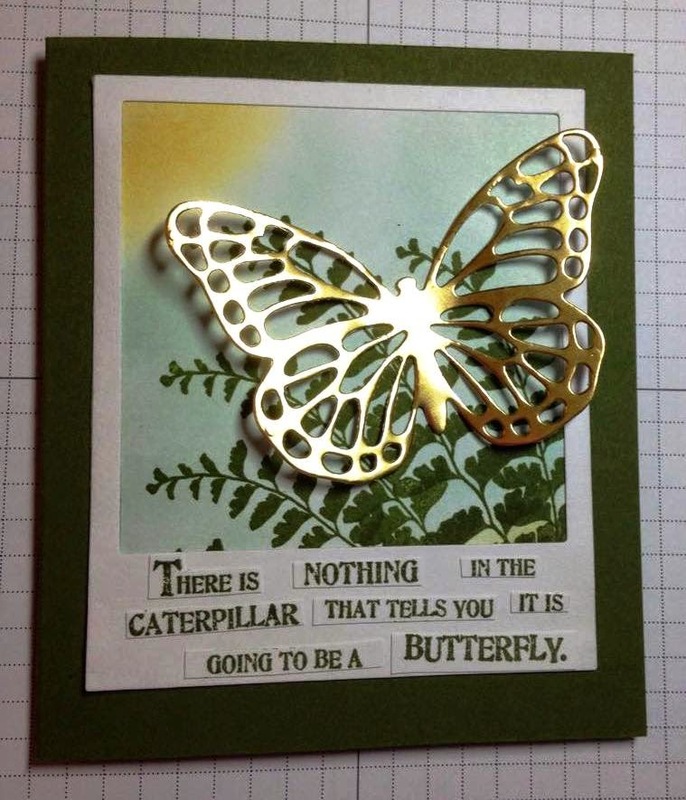 Stamp Sets is the Butterfly Basics Set and it currently offered as a bundle with the Butterfly Thinlit Dies. It is an amazing set with great images as well as sentiments. It really is a must have! I hope you have a wonderful day and can celebrate your pick's win in tonight's game!